Pop punk fans get excited!! Fall Out Boy are on tour with their latest album, “Mania,” and they’re teaming up with Machine Gun Kelly for the journey!! Catch them live at the MGM Grand Garden Arena on Friday 28th September 2018 – tickets won’t last, so be quick on that “Buy Tickets” button!! 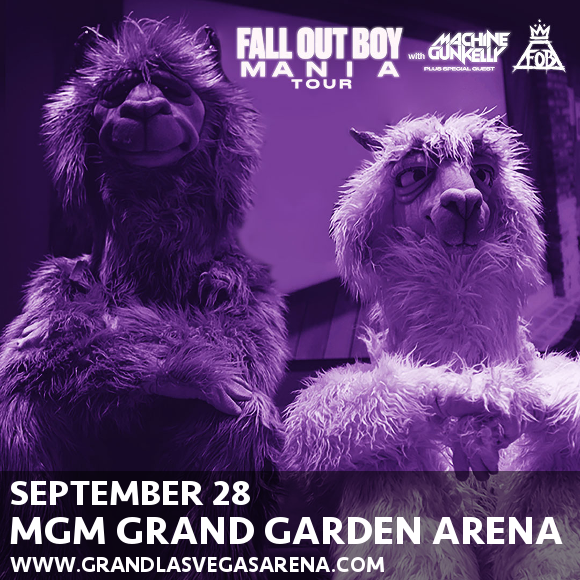 Get ready to experience all the new sounds of “Mania,” live – grab your tickets to see Fall Out Boy TODAY! !